It seems counter-intuitive that clouds over the Southern Ocean, which circles Antarctica, would cause rain in Zambia or the tropical island of Java. But new research finds that one of the most persistent biases in global climate models – a phantom band of rainfall just south of the equator that does not occur in reality – is caused by poor simulation of the cloud cover thousands of miles farther to the south. University of Washington atmospheric scientists hope their results help explain why global climate models mistakenly duplicate the inter-tropical convergence zone, a band of heavy rainfall in the northern tropics, on the other side of the equator. The study appears this week in the Proceedings of the National Academy of Sciences. “There have been tons of efforts to get the tropical precipitation right, but they have looked in the tropics only,” said lead author Yen-Ting Hwang, a UW doctoral student in atmospheric sciences. She found the culprit in one of the most remote areas of the planet. Previous studies investigated tropical sea-surface temperatures, or ways to better represent tropical winds and clouds. But none managed to correctly simulate rainfall in the tropics – an important region for global climate predictions, since small shifts in rainfall patterns can have huge effects on climate and agriculture. Recent theories suggest tropical rainfall might be linked to global processes. 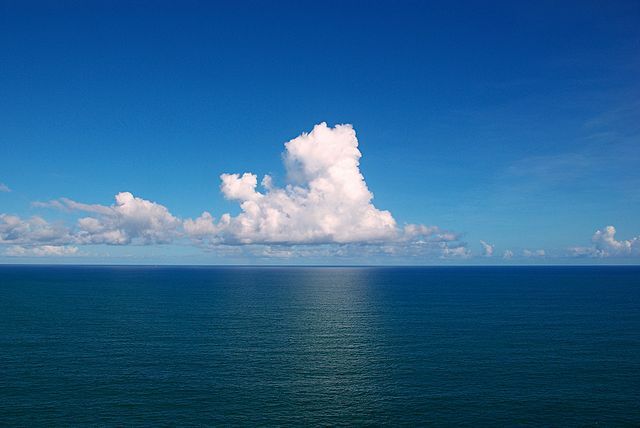 Hwang’s research, funded by the National Science Foundation, looked for possible connections to ocean temperatures, air temperatures, winds and cloud cover. “For the longest time we were expecting that it would be a combination of different factors,” Frierson said, “but this one just stood out.” The paper shows that cloud biases over the Southern Ocean are the primary contributor to the double-rain band problem that exists in most modern climate models. Hwang will speak on her results in April to scientists at the World Climate Research Programme. The results have also been submitted for inclusion in the fifth report of the Intergovernmental Panel on Climate Change, which is expected to appear next year. Most models don’t generate enough low-level clouds over the perpetually stormy Southern Ocean, the authors found, so heat accumulates in the Southern Hemisphere. In the short term, climate scientists can look for ways to improve the models to increase cloud cover over the Southern Ocean. Eventually, more powerful computers may permit models that are able to accurately simulate clouds over the entire planet.